Synopsis: London. 1880. In the slums of Spitalfields apprentice blacksmith Luke is facing initiation into the Malleus Maleficorum, the fearsome brotherhood dedicated to hunting and killing witches. Review: I was immediately drawn to the cover of the novel and I find it completely and irreparably sublime! But this is not everything and I always appreciate stories happening in the 19th century. I therefore thought that this new novel would be perfect for me. And I must say I’m impressed. Luke is a young boy who, since the death of his parents vowed revenge. What better than to get into the fraternity of which his uncle is part of, as their goal is to hunt down and destroy every witch. But for that, he should complete his initiation and kill a witch chosen in a book. And it is none other than Rosa Greenwood. But he must first approach her and live with her to find the perfect moment. He will therefore go there as a groom and get to know her. Yet his mission may take an unexpected turn and the assassination proves to be more difficult to achieve than expected. Rosa is a young girl who doesn’t have an easy life and since the death of her father she loved more than anything, her life has changed … She needs to obey his brother and her mother who constantly denigrate her and who are determined to marry her to another wizard, rich, to help them recover. And whatever Rosa wants, nothing will change that. But is she willing to make this sacrifice for her family? Sebastian, the man she must seduce, was long ago her childhood sweetheart, but it’s been years since she has not seen him and she does not know what to think. Will she override his difficult nature? I loved Rosa, she is a very brave young woman. She hopes to do everything to help her mother and brother even if they are constantly mean to her. And if that means seducing Sebastian, a friend of his brother, then there is no thinking. And even if this man induced her opposite feelings, she knows what this marriage is very important. And despite his anger, the man can also be very sweet, so why to worry? I loved seeing that despite the little she knows, she does not remain naive throughout the story and she learns to do according to her desire. She puts a lot of effort into it and starts to dream of a different life. However, she also has a big heart and would be ready to many things to save an animal in pain. Even while this can sometimes have serious consequences. I was also very intrigued by Luke and I was curious to see if he would be able to do his job or not. Killing someone is difficult, especially when you realize that this person is not the wicked witch he had initially imagined, but his life is also at stake, so he is left with little choice but to try. But there is more, and I struggled to decide whether Sebastian was good or not. Yet we do not really know that I think until the end of the book. I loved this story and I was really curious to see how the relationship between Sebastian and Rosa would evolve and see if Luke would conclude his mission. The author presents a nice story blending magic, betrayal and love and I’m really curious to read more now! This entry was posted in Ruth Warburton, Witch Finder, Young Adult. Bookmark the permalink. I totally agree, the cover is beautiful! This one seems like a lovely book, and it’s great to see that the MC was a brave and strong one, the cover could have suggested a very helpless one. tu as lu la saga principale? oui je ne pense pas que ça posera souci. Il se suffit à lui même. J’espère qu’il te plaira aussi. Ooh I love the cover for this one too. I am definitely intrigued and this review has got me thinking that I have not really read any witch books at all. Now might be the time to change that! Great review, thanks for sharing! I love everything about this book, first impression. The cover art, the setting and the plot. Delish! Hm… seems that I’ve been into witch books lately so I’m going to have to check this one out. I also love the sound of Rosa! I’ve been itching to request this book from Netgalley but wasn’t able to make up my mind since I read a negative for it. I think I still have to see other reviews to be posted and see the general consensus before deciding whether to pick it up or not. Rosa being strong and brave sounds easy to like and cheer for. 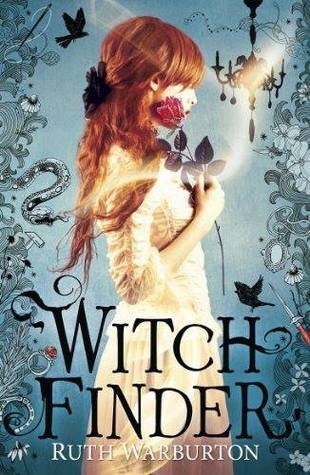 Witch Finder sounds awesome, Melliane. And I agree that the cover is beautiful 🙂 I think I’ll really enjoy the story, too, so thank you for introducing me to this new-to-me author and series. Why that sounds like some strange relationships! drama drama drama! But I must say it does sound intriguing and there is something I like about the cover I think its the edging, nifty.